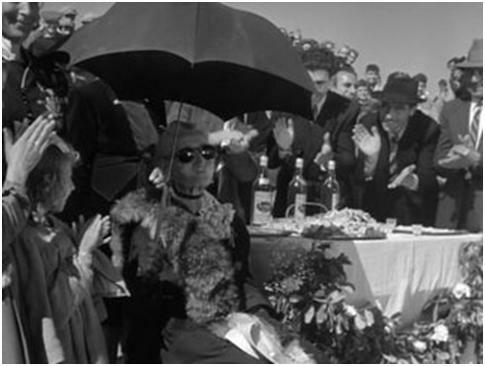 Parodying the infamous Fascist slogan quoted in Visconti’s movie, we could say “Dolce and Gabbana are always right”. 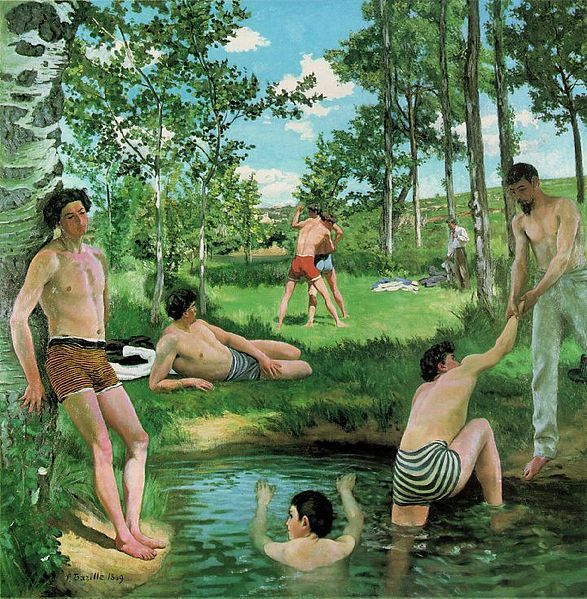 While I was preparing the previous post and looked intently at the swimsuits worn by some of the characters depicted in Scène d’Été, by Frédéric Bazille I was reminded of the stripes from Dolce & Gabbanna’s Spring Summer Collection 2013-2014. 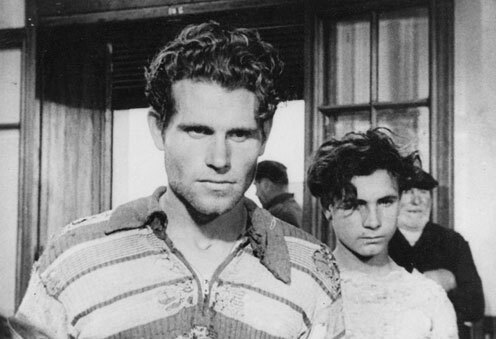 The Italian duo had a very specific inspiration for the whole concept; a neorealist movie, La Terra Trema / The Earth Trembles (Luchino Visconti, 1948). Is an adaption for the screen from I Malavoglia / The House by the Medlar Tree, originally written in 1881 by Giovanni Verga. This author was one of the precursors of verismo, a literary or painting movement and opera style which were in many ways the basis for neorealism. 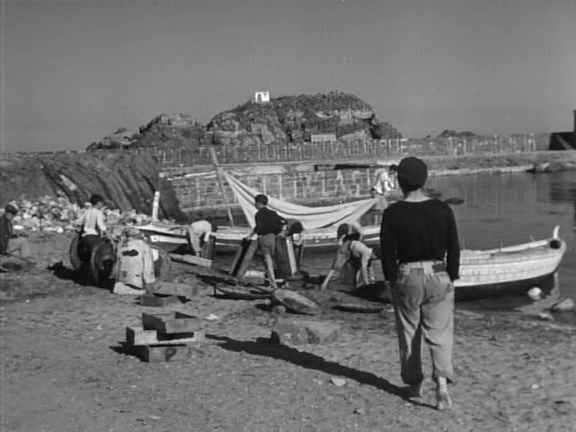 The first neorealist film is generally thought to be Ossessione (Luchino Visconti, 1943). 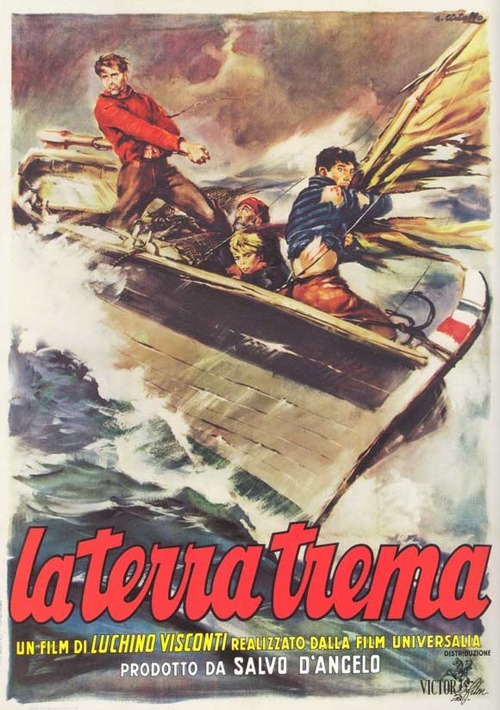 But in Toni (1935), Jean Renoir made a notable use of non-professional actors and location shooting, two of the main characteristics of the Italian neorealism. Visconti worked in that movie as a Jean Renoir’s assistant. There was a strong reason to film outdoor. During the World War II the film studios had been damaged significantly. All this movement came about in the post-war right after Benito Mussolini’s government fell. Although they were filmed with nonprofessional actors, in a number of cases, well known actors were cast in leading roles. Domenico Dolce and Stefano Gabbana followed those unorthodox rules. “With Taormina (Sicily) as a setting and supported by “real” people, Bianca Balti, Monica Bellucci, and Bianca Brandolini D’Adda –genuine Italian Graces, portray many of the values upheld by Dolce & Gabbana. Pomp and ceremony are juxtaposed to quaint familiar portraits of everyday life. Jovial dancing and singing complement moments shared and families brought together by love and food. Characters busy at lace making, embroidering, cross-stitching display the crafts utilized to decorate the collection. The gold embroidery and floral tapestry stand out against the colorful majolica synonymous with Sicilian pottery”, it was said about the concept. 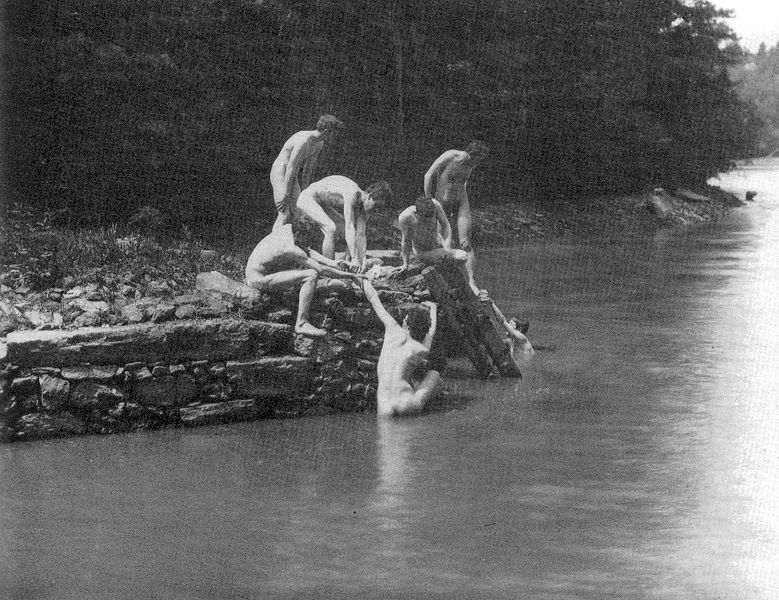 The Swimming Hole (also known as Swimming and The Old Swimming Hole). 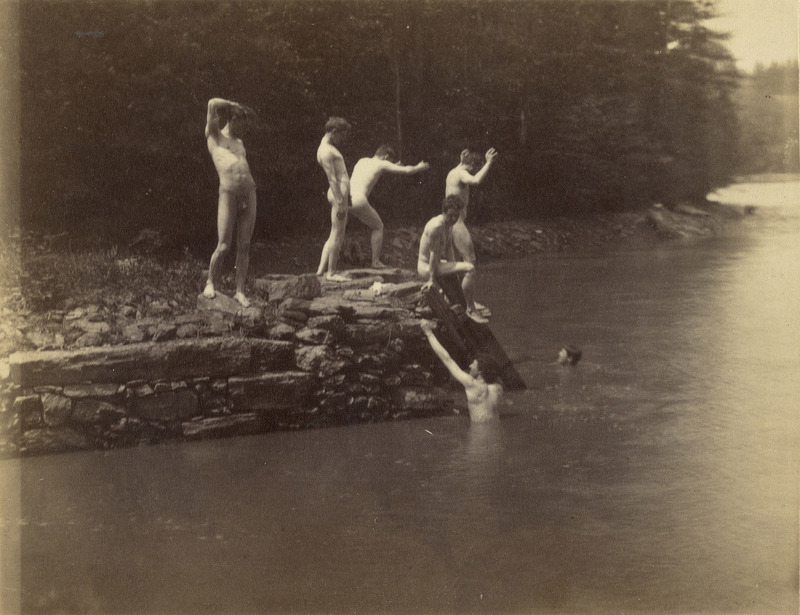 Before starting to paint The Swimming Hole (1884-85), Thomas Cowperthwaite Eakins took some photographs and made some studies, a very usual method for him. 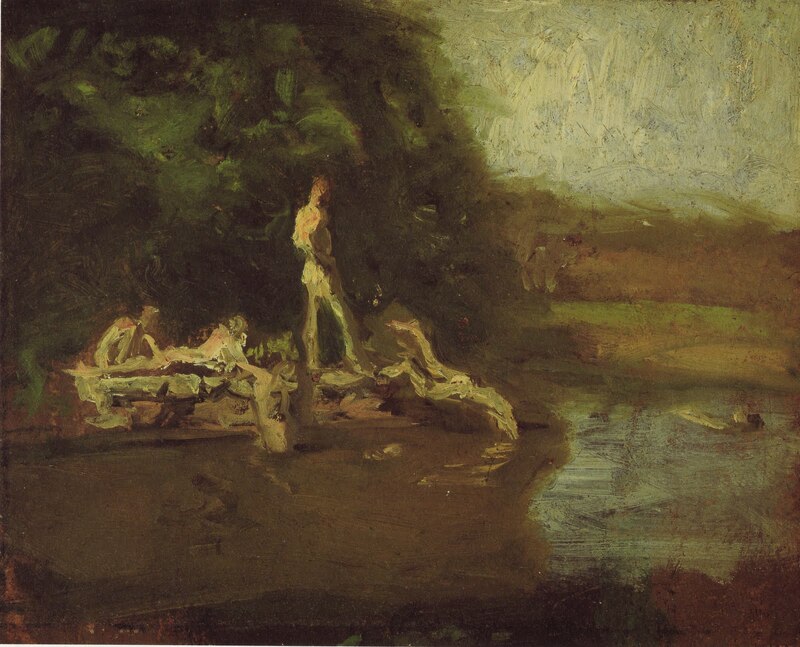 Eakins made the oil as a commission by Edward Hornor Coates, a Philadelphia businessman who chaired the Committee on Instruction at the Pennsylvania Academy of the Fine Arts, where Eakins taught, but at the end of the day, he rejected to acquire the painting. 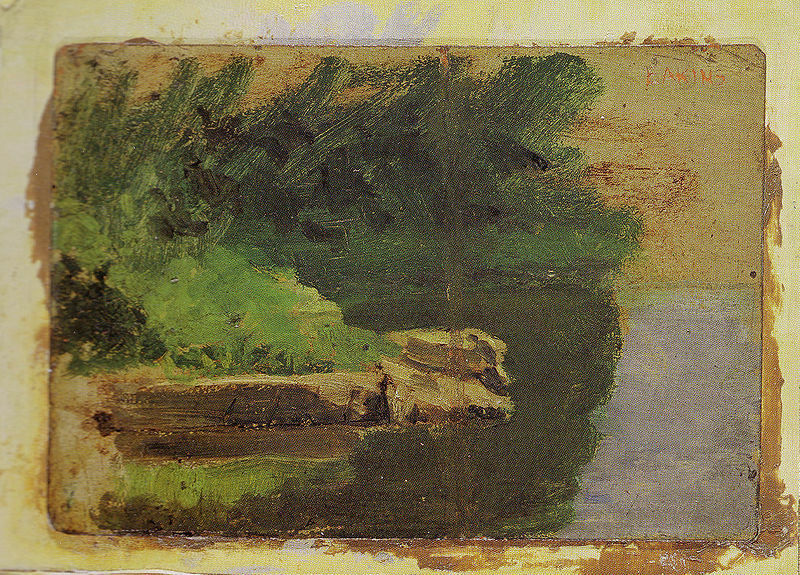 As luck would have it, this is maybe his most famous piece of art, an American Arcadia. 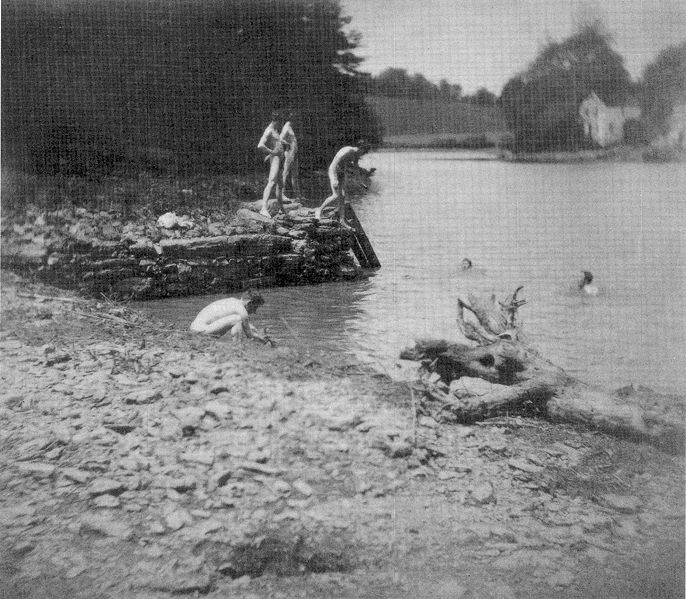 Scene d’Été / Les Baigneurs (Summer Scene /Bathers). 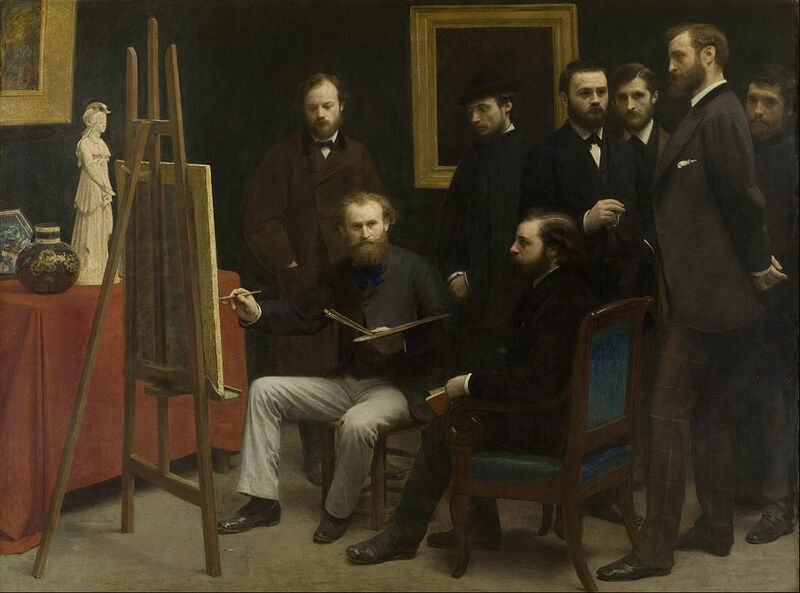 Frédéric Bazille, 1869. 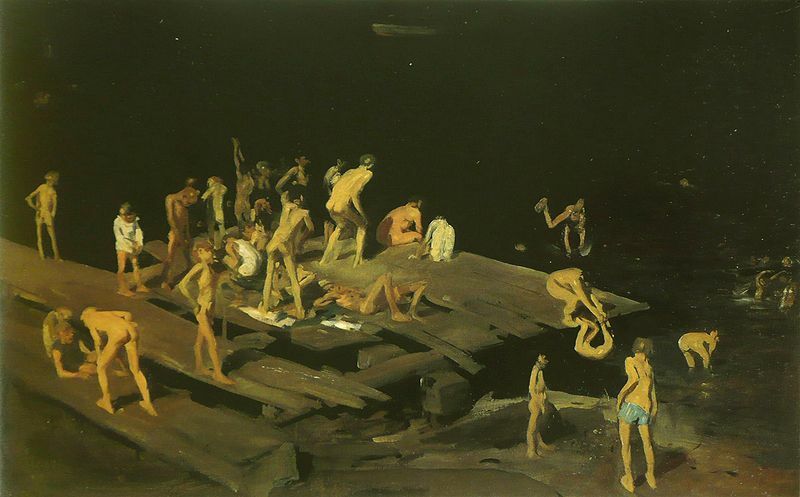 It is not unlikely that Eakins saw the painting at the Salon while studying in Paris, and would have been sympathetic to its depiction of male bathers in a modern setting.